eCommerce is a dynamic business. Visitors are constantly checking sites for the best deals or their favorite products, adding to their wishlists and exploring product recommendations from friends and influencers. At the same time, online vendors rely on numerous techniques - such as optimizing page load time, using sharp product images and aggressively targeting ads - to draw in shoppers and convert clicks into cash. As developers of web apps, you often need to let users upload files to your app - mainly images and videos. You want the upload interface you provide to offer an intuitive user experience, including the ability to drag & drop multiple media files, preview thumbnails of selected images and videos, view upload progress indication and more. Since we now all live in the cloud era, chances are that many of your users also store media files in the cloud rather than only locally on hard drives and mobile devices, so the option to pick files from social networks like Facebook, cloud storage services such as Dropbox, photo services like Google Photos and more is a big advantage. Have you ever noticed that home pages are slow to load? Sliders could be to blame. Many modern homepages use a slider or carousel design element to show several rotating images that provide different offers or present various aspects of the brand. A common choice for implementing these sliders is JQuery. While JQuery itself is not a performance killer, the large images displayed by the slider can be responsible for slowing down a home page’s load time. Once upon a time, in long forgotten browser versions, getting a video into a website required creating and embedding Flash resources. But these days, all modern browsers support HTML5, including the HTML5 <video> tag, which means you’ve got a built-in video player that anyone can use. Cloudinary offers a cloud-based media management solution to help developers manage and optimize their images and videos. 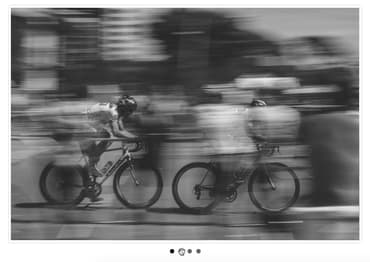 Because images are important to you and to us, we wanted to share our thoughts on a popular trend that highlights rotating images at the top of a website homepage - image sliders.